A photograph of DeWitt Clinton Nellis, lawyer and judge. Nellis came to Topeka, Kansas in 1871 where he taught school and studied law. He was admitted to the bar on February 21, 1873 and worked in the law office of Martin, Burns & Case. In 1873, he was appointed county attorney of Ellis County, Kansas and served four successive terms. On March 15, 1881, Nellis was appointed judge of the 17th Judicial District of Kansas by Governor John P. St. John. 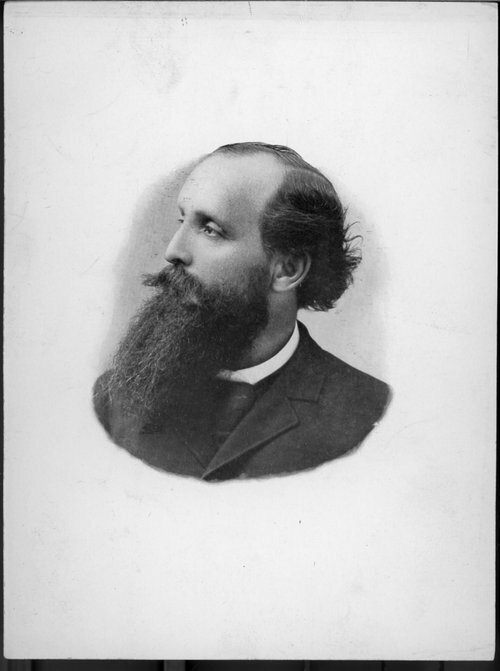 Nellis was a candidate for Kansas Attorney General but was defeated at the 1884 Republican convention in Topeka. In June 1885, he moved to Topeka and practiced law. Nellis developed hearing problems and retired from active practice in 1887. After leaving his law practice, he became secretary of the Kansas Farmer Company.